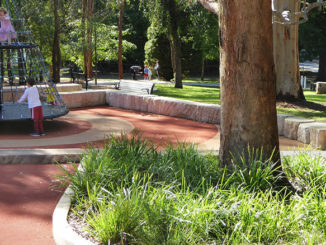 As part of a limited competition for the City of Sydney, HASSELL undertook the challenge to rejuvenate Perry Park in the inner-Sydney suburb of Alexandria. Taking the themes of sport and ecology, the HASSELL response provides for a range of passive and active recreational activities within a park and wetland setting. Our goal was to create a destination for both individuals and groups; a place where sport and ecology mix seamlessly, support and complement one another in a balanced environment. 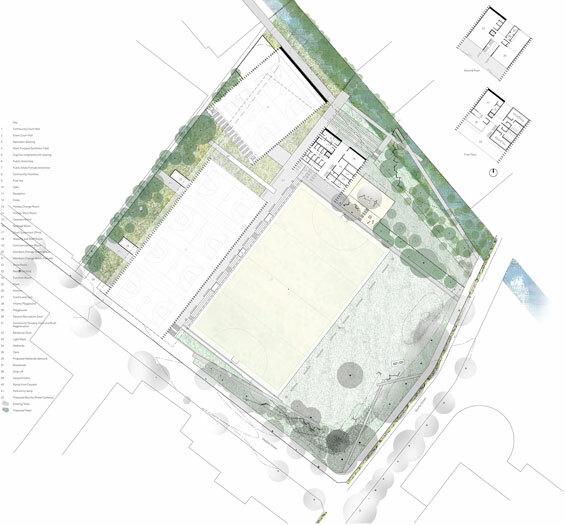 Our proposal encompasses the design of several new buildings to house six indoor basketball courts and associated facilities, a synthetic outdoor hockey field and the surrounding landscape. 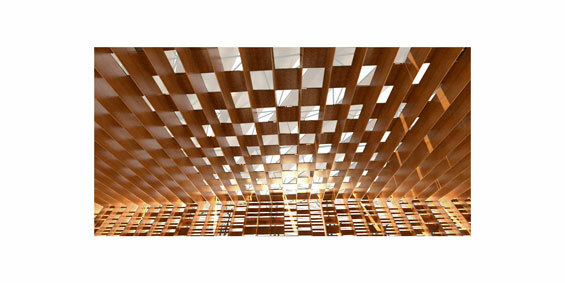 The main structure of the Sydney Basketball Centre is composed of plywood portal frames and a simple polycarbonate roof, providing a sustainable, low-carbon approach. 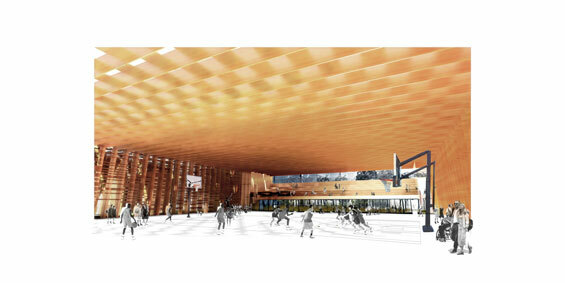 The design enables effective overhead natural daylighting of the sports courts through the deep roof structure, resulting in a dappled light falling into the spaces, which acts as an extension of the natural canopy. Walls built of ply with glass and timber louvres allow for the cross ventilation, helping to fulfil sustainability objectives and maintain connections with the parkland beyond. 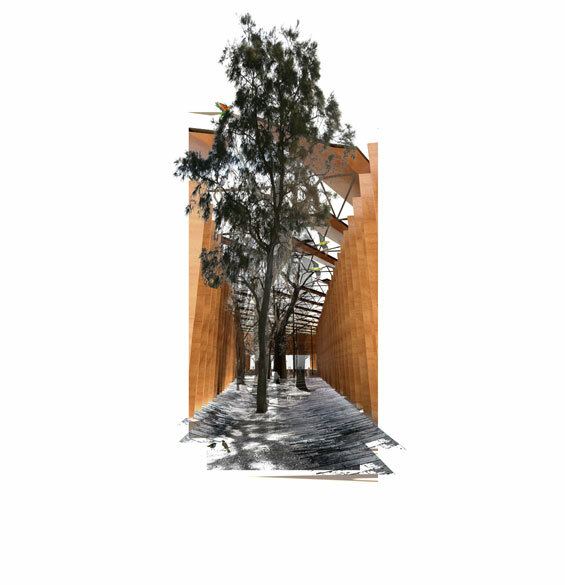 The HASSELL design visually enhances the park by breaking the large mass of the typical ‘mega-barn’ sports hall structure into specialised halls, reflective of the program, and creating areas of green refuge which allow the landscape to flow in and around the building. This approach created the opportunity to set the building within a regenerated wetland of Eastern Suburbs Banksia Scrub, once endemic to the site. 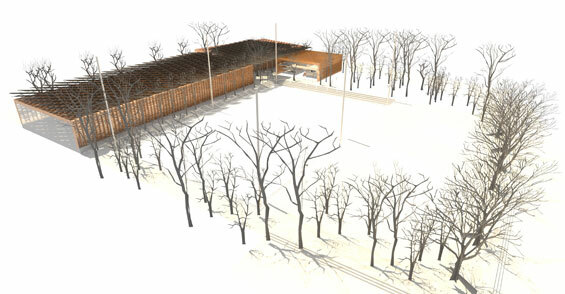 Our approach sought to minimise environmental impacts through: the reuse of all excavated fill material on site to form the hockey field surrounds; reduced carbon footprint through the use of timber as a primary structural system and maximisation of passive systems; power generated by photo voltaic cells and wind turbines that exceed the energy requirements for the buildings. Free Wi-Fi and power incorporated into park furniture was explored, along with digital wayfinding options and an informatics system that delivers real-time data to help individuals and groups monitor their health and sports performance goals. 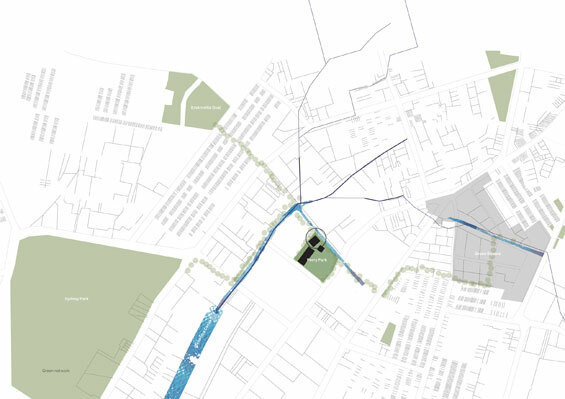 The park’s proximity to Green Square Station provides easy access to mass transport modes and the development of green networks and links throughout the site build on the city’s pedestrian and bicycle arteries. To help facilitate a shift away from private car ownership toward more sustainable transport, safe storage for bicycles and changing facilities have been provided. The Perry Park design seeks to become an exemplar for future development and assist the City of Sydney in attaining its ‘2030 Vision’ sustainability objectives. In designing a park that embraces both sport and ecological imperatives, the desire has been to create buildings using ‘low embodied energy’ materials and techniques, that respect the principles of good passive design, and therefore minimise energy use.